If you’re like me, you probably installed Dropbox a few years ago and never looked back. As great as that is, everything including solid applications like Dropbox still require maintenance from time to time especially if you store sensitive data in there. Let’s take a look at some spring cleaning ideas to tighten up security a bit with your Dropbox account. If you’re like me, you probably installed Dropbox a few years ago and never looked back. After all, it just works! As great as that is, everything including solid applications like Dropbox still require maintenance from time to time and this is especially true you store sensitive data in your Dropbox account. Let’s take a look at some spring cleaning ideas to tighten up security a bit with your Dropbox account. To start things off, let’s change our Dropbox Password. 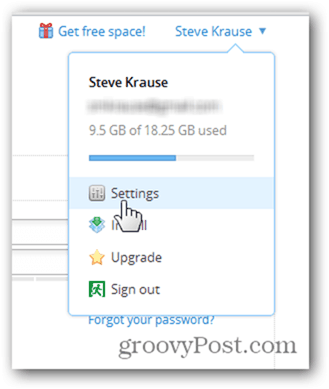 For me personally, I’ve never changed my Dropbox password EVER – so this is a good place to start. Oh, and before you freak out don’t worry. 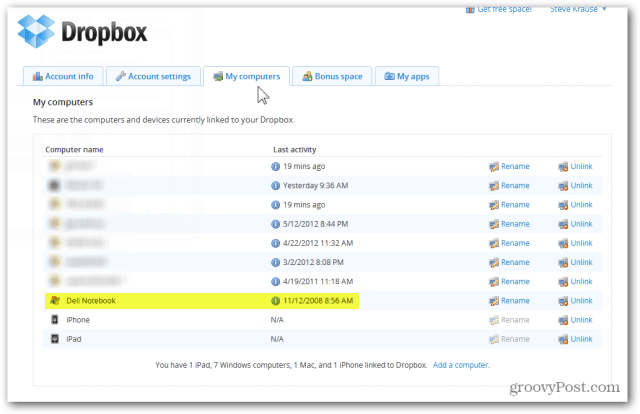 Changing your Dropbox password only impacts accessing Dropbox via the website and adding new devices. Older devices already syncing with Dropbox won’t be impacted by a password change. 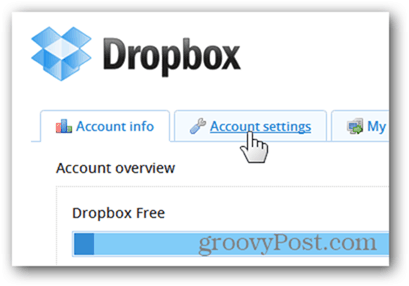 Begin by logging into your Dropbox account via the website and click your username. 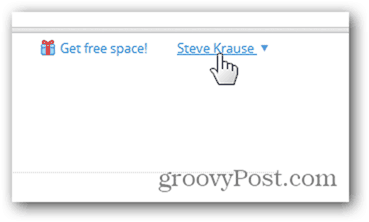 Change your Password using the old/new form. Remember, all passwords are not created equal so be sure to use my trick for creating a strong and secure password that is easy to remember. 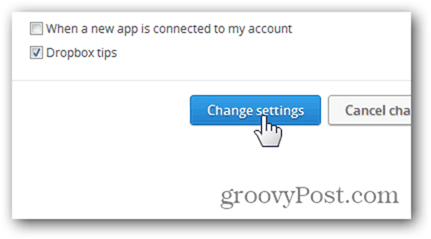 Click Change settings to save your new password. While your sitting in the Account Settings Tab, freshen things up a bit by confirming all the spam emails and Account Preferences for your account. Again, click Change settings to save your selections. Over the years I’ve added almost a dozen systems and mobile devices. Unfortunately, I’ve not always been very good about removing them after I rebuild the OS or get rid of the device. Let’s go in and unlink the devices we’re no longer using. Click My computers and click Unlink on any systems which should no longer by Syncing. On my account, I have a few PC’s which haven’t synced with my Dropbox account for several years. Time to blow these away! 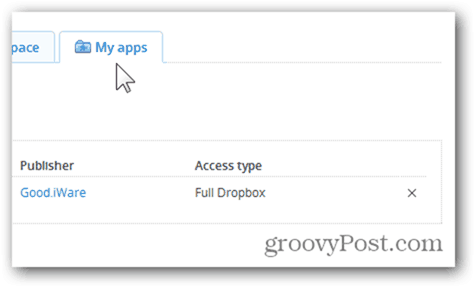 As the popularity of Dropbox has grown over the years, so has the number of applications adding Dropbox support. When I took a look in my account I found a few applications I’m no longer using so let’s clean this up a bit. Click the My Apps tab and delete any applications you no longer want to Sync with Dropbox by clicking the X on the Application Line. Oh man… Half the devices and apps I don’t even recognize… Hacked? Youch… Hopefully you just installed them a long time ago and forgot. Worth a shot hehehe :) and yes — I was only kidding Vadim! I wanted to share an application that helps make DropBox even more secure. The app is called Cloudfogger. I’ve been playing with it a couple of days and it looks like it does come in pretty handy, especially with all the issues dropbox has recently had.